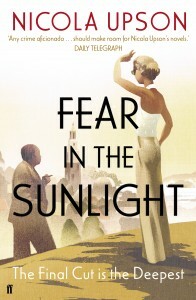 I approached Fear in the Sunlight full of warm anticipation – that tasteful art-deco cover; that setting, in the architectural haven of Portmeirion (backdrop of the cult series The Prisoner, for those long enough in the teeth to remember); and featuring none other than Alfred Hitchcock, plus assorted stars of stage and screen – all this and a lesbian love triangle thrown in for good measure… What’s not to like? 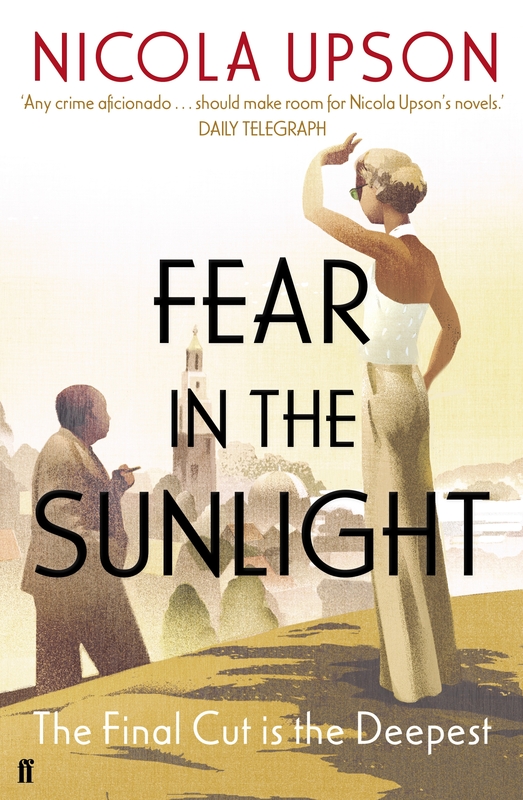 The novel is set in two time periods: 1954, when retiring detective Archie Penrose is called on to help investigate a spate of serial killings; and 1936 when a previous sequence of murders took place in Portmeirion. The 1936 murders were ‘solved’ at the time by the apparent suicide of one of the suspects, but the more recent killings raise a question mark over this conclusion. Penrose happened to be holidaying in the area in 1936 when he encountered his old flame, Golden Age novelist Josephine Tey, there to discuss the filming of one of her crime thrillers with Alfred Hitchcock. Hitchcock is doing a recce for a different movie and auditioning potential cast members, who duly arrive one by one at the main hotel in the town, and are provided with motive, subplot and back-story. So far, so Josephine Tey – which is, I suppose, the whole point. But (and I’m sure you can feel this ‘but’ coming) this is a very (very) hard novel to get into if you’re someone who appreciates pace and character development. Six murders, plus at least ten more additional main characters, plus assorted hangers-on, are all introduced in the first thirty pages, which leaves little room for in-depth exploration. As a result, it’s hard to care about any of them, let alone distinguish between major and minor players. Even the lovely Josephine Tey, the putative main protagonist of what is billed, after all, as the ‘fourth novel featuring Josephine Tey’, is hard to distinguish in this enormous cast-list – despite being embroiled in a clandestine love affair with actress Marta, who is in turn enmeshed with the lovely Lydia. Exactly fifty pages in, in one of many book-within-a-book-within-a-book references, Hitchcock is ploughing through the Tey novel his wife wants him to film and comments: ‘I think it’s very, very bad.’ ‘How much have you actually read, Hitch?’ demands his wife. ‘The first fifty pages,’ he says despondently. To be fair, it does get going by about page one hundred, when it emerges that Hitch has paid aging matinee idol and incorrigible lothario Leyton Turnbull (aka Henry Draycott, evil ex-hubby of local recluse Gwynneth – oh, do keep up – whose daughter Taran disappeared without trace years earlier, in one of many elaborate retrospective subplots, in this case involving the lynching of a gypsy) to stage a fake suicide to see how the other actors react… By which time I have restarted the book four times, been driven to listing characters to keep track of them, and have pretty much lost the will to live. Having said all that, there will be many readers who adore the liberally and lovingly larded historical period detail and the plethora of (presumably true – why include them otherwise?) biographical nuggets about Tey’s love life and Hitchcock’s relationship with wife Alma Reville; and relish the elaborate knitting up and unravelling of this intricate Arran cardie of a plot. And it is very elegantly written, and no doubt carefully researched by Cambridge graduate and nonfiction author Nicola Upson. With reading groups always on the lookout for factual material they can get their teeth into, there is a ready audience for historical material presented in fictional guise. Call me old-fashioned, but I prefer novels with a few complex and compelling central characters in which the action kicks off well before page fifty.